We at Young Property Group can provide advice on a number of issues pertaining to your potential sale. We offer a complete service when being appointed to market your unique property from advice on presentation and suggested improvements to attracting the likely target market. Every team member with the Young Property Group is a professional operator with years of experience behind them. We offer a personalised service for all types of property throughout the Sunshine Coast region. Market appraisals – identifying your buyer market – finding and matching buyers to your property – a stress free sale of your property to the point that you would be happy to recommend your friends to experience the same excellent service. We define ourselves as cutting edge marketing agents that utilise the most up to date technology to attract buyers to your Sunshine Coast property. Buyer updates and blogs and there are many more unique marketing techniques that we offer which will help to find the right buyer for your property. The Young Property Group team covers a wide region that spans to Pomona in the north, Glass House Mountains in the south and west to the Sunshine Coast Hinterland and the Lockyer Valley. 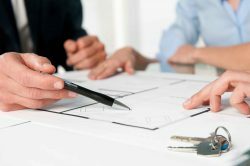 If you are looking to deal with a real estate office with a team of professionals that can offer you the right advice to achieve your goals then contact the Sunshine Coast’s Premiere Real Estate Office.